When unusually heavy rain storms enveloped parts of Central Western NSW the historic regional town of Forbes on the Lachlan River was partially isolated for a couple of weeks. The main road closures were along the busy Newell Highway south west of Forbes towards West Wyalong. Much was made on the news of this but in typical media fashion not much coverage was given once the water receded and the town was again open for business. Businesses in the town suffered substantially, and now is the time to visit this pleasant town and enjoy the historic buildings, the peaceful ambience along the river and to indulge in the other attractions. In a smallish area in the centre of town close to Victoria Square are a number of lovely old buildings. Very solid and full of charm. Many have been used in feature films including the Post Office, Town Hall, Court Hose, Vandenberg Hotel and some churches. A self-guided tour booklet of the Heritage Trail (best on foot) is available from the Visitors Centre located in the old Railway Station. The exploits of bushranger Ben Hall are synonymous with Forbes and you can watch a DVD at the Visitors Centre or take in a showing of the recently premiered film The Legend of Ben Hall. Forbes is a centre for wheat, sheep, dairy and fruit and one of the prime agricultural regions of NSW. If you want to witness the frenzy of cattle sales check out the action at the Central West livestock exchange about 12km out of town towards Parkes – check at the Visitor Centre for times. For car lovers, McFeeter’s Motor Museum is across the River Lachlan south of the town centre and features a fascinating collection of vintage cars and motor bikes including an elaborate Japanese funeral vehicle, some very fast utes and a number of Rolls Royce cars. I was amazed at the prices some of the vehicles would bring if ever for sale. 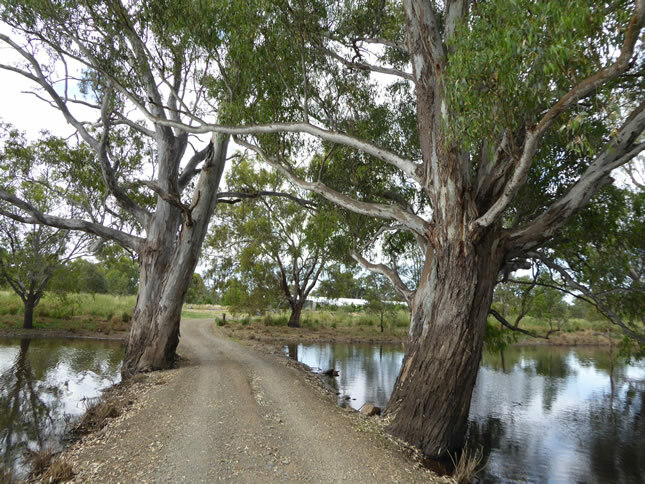 The River Lachlan winds through the town and the parks along the banks are a perfect spot for a picnic or for a stroll on the pathways. Just out of town Gum Swamp Wildlife Sanctuary is a haven for over 150 species of birds and the hide (rather dilapidated) is a good spot from which to view them. Farmers Kim and Wendy Muffet sold their property at Wirrinya south of Forbes a few years ago and established a Green Living Farm Experience with permaculture and sustainable living. Their property, Girragirra, is just south of the town and includes a self-contained eco-friendly retreat. I can highly recommend it as the perfect place for a restful break. Watch the local ducks and other birds on the ‘pond’ close to the retreat. You can indulge in some of the produce from their flourishing garden. I was particularly taken with the juicy youngberries which brought back memories of my childhood home in Hobart. For more information check www.girragirra.com. In local Wiradjuri language Girragirra means “be well. be happy. be merry’. My father’s first job after arriving from England was at the local newspaper in Forbes. I used to live in Bathurst and I can remember annual fishing trips to the Forbes area and playing schoolboy rugby league at the annual Forbes Marist Brothers carnival. In later years, living in Canberra, my son played rugby league at the same carnival at Forbes but Marist Brothers is now called Red Bend College. 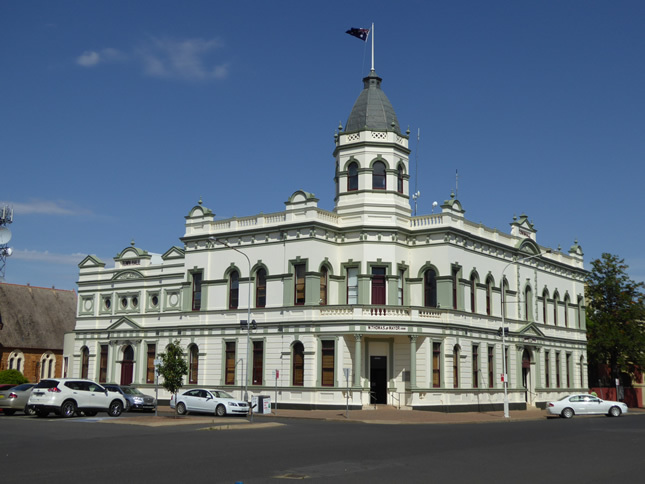 I worked in Parkes after leaving school and had the opportunity to visit Forbes regularly. It is a lovely little town.